Brad Piehl is a forest hydrologist with 30 years of environmental consulting experience in Colorado and throughout the West. He has worked for the past 19 years on impacts of wildfires on watersheds and water supplies. Brad has experience with large-scale and small-scale planning for watershed protection including working for federal, state, and local agencies, as well as many water supply organizations. He is one of the founding members of the Watershed Wildfire Protection Group and has implemented watershed hazard identification and prioritization for a large portion of the Colorado Front Range, and central and northern Rocky Mountains. Brad has also worked on pre- and post-fire planning for a number of water supply and US Forest Service partnerships. He directed post-fire watershed protection projects following the High Park and Hewlett Gulch Fires in the Cache La Poudre. Jessica has 25 years of experience in environmental consulting. Her expertise includes project and technical management/coordination of large complex interdisciplinary projects and public involvement. She has been the public involvement lead on many large natural resource management projects involving complex issues and diverse stakeholders. Jessica also has served as the technical manager of many natural resource projects that has provided her with technical familiarity with many environmental analyses such as; air quality, cultural resources, ecology, fisheries, forestry, geology, recreation, soils, threatened, endangered and sensitive species, vegetation, visuals, wetlands and wildlife. 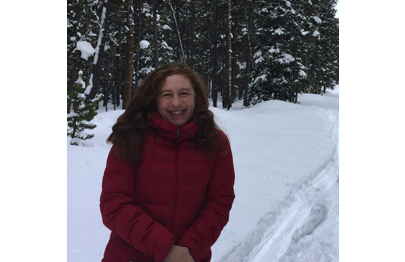 Abby Eurich has done research into the effects of wildfire exclusion on watershed and forest function as well as resource management for wildfire risk reduction. Abby has worked on landscape-level assessments as well as smaller scale, seventh-level watershed analyses. Since starting work with JW Associates, Abby has contributed expertise to a number of projects pertaining to pre- and post-fire analysis and planning, and watershed assessment and restoration. She is an expert in watershed analysis using Geographic Information Systems (GIS) technology and is academically accomplished in forest ecology, hydrology, climate and atmospheric science, dendrochronology, and wildfire effects on landscapes and forest habitat.